POLICE in Spain claim that the ‘big cat’ that has sparked a massive hunt could, in fact, just be a big, black, shaggy dog. 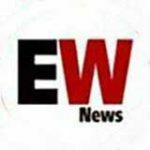 The animal had been spotted in the municipality of Jadraque Guadalajara and photographs and videos of the beast went viral on social media. 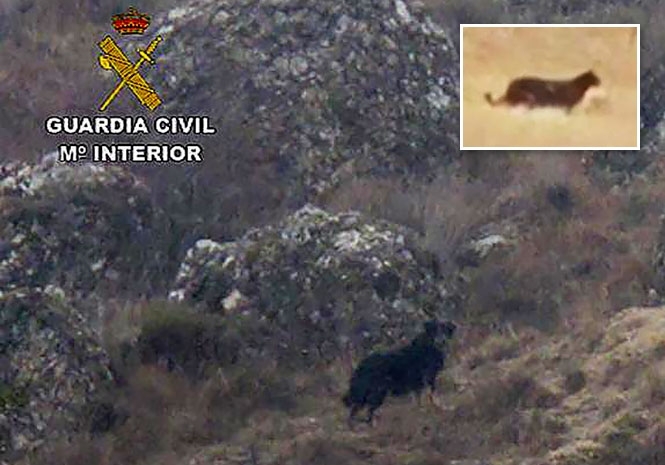 But now the Guardia Civil has produced a grainy photograph of a dark-coloured dog and told residents of the town in Castilla la Mancha that have spotted the ‘panther-looking’ animal that they don’t believe there is a big cat stalking the countryside. But worried locals don’t believe them saying the pictures the police have produced was not of the animal that they had seen. Local people remain convinced that a predator lies in their midst, however, with a dead roe deer strung up in a tree and large, cat-like footprints taken as further evidence. Dozens of sightings have been made by residents over the last six months. And Agustín López, director of biology at the Zoo Aquarium in Madrid, believes the presence of a large cat in the area is “possible,” adding that it could have escaped from an illegal private collection. “Someone could have been keeping the animal. RELATED: WATCH: Is a big cat on the loose in Spain?